The University of Oslo is hosting its 2nd Annual Workshop on Law and Social Science Methods, today and tomorrow. 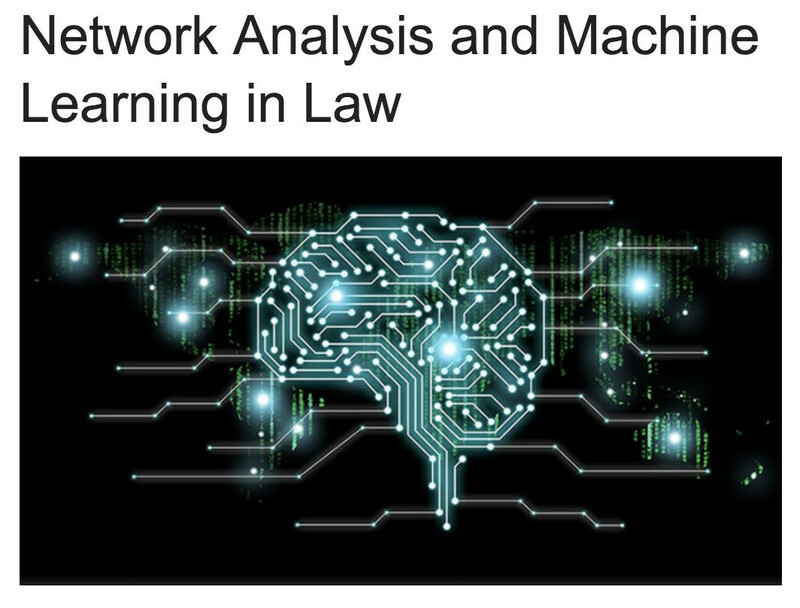 Dan Katz gave a lecture, earlier this morning, on network analysis and machine learning in law. Other topics at the Workshop include use of machine learning to predict court decisions and judicial behavior, diffusion of legal services at the international and transnational levels, and analysis of criminal justice systems. Increasingly, legal technology is being employed abroad by law firms, startups, and in legal education curricula. More than that, the discussion of legal tech has become increasingly normalized, no longer considered a novelty or a niche pursuit. Workshops like the University of Oslo’s demonstrate how technology tools can be integrated into a whole range of legal pursuits. Too often, we forget that new technology eventually becomes commonplace, well understood, and seamlessly integrated into our everyday lives. This Workshop demonstrates those principles as legal continues to evolve via new tech tools. As with Dan’s recent trip to Bucerius Law in Hamburg, it is encouraging to see more and more emphasis on legal tech at the collegiate level. It seems like there is a legal tech conference every week, largely geared toward changing processes for organizations that already exist. Workshops like the one this week at University of Oslo are doing something different: changing the dialogue from the ground up. Innovation in both technology and in processes continues to demonstrate that legal professionals must have a more well-rounded knowledge base. Dan is a regular lecturer and keynote speaker at legal conferences and events centered around these issues. He has written numerous papers on various legal tech topics and fields of research, with frequent collaborators Michael Bommarito and Eric Detterman. Their most recent research concerns LexNLP, the natural language engine that powers ContraxSuite, and a software platform to aid and enhance usage of the SEC’s EDGAR database. For more on Dan’s lectures, appearances, and papers written with colleagues Michael Bommarito and Eric Detterman, visit Computational Legal Studies and check out our Research Projects page. To learn more about Oslo’s Annual Workshop on Law and Social Science Methods, visit their website. LexPredict is an enterprise consulting and technology firm. We improve process, technology, and the ways people interact with both. We provide traditional consulting services, but in many other cases, we also build data and technology products, or help seed startups to address unmet needs. We develop software and data tools, including LexSemble, ContraxSuite, and LexReserve. These products assist organizations with early case assessment and decision trees, contract analytics and workflows, and case valuation. LexPredict also offers execution and education services, as well as advisory and capital services for legal tech startups through its LexGen Ventures arm. If you’d like to learn more about LexPredict and the many ways we’re changing the future of law and data, contact us for information about products and services.